It might not be too long before telling a waiter there’s a fly in your soup is regarded as a compliment, if one Wellington chef gets his way. Jacob Brown, from The Larder in Miramar, is advocating for a future in which chomping crickets, hoeing in to huhu grubs, chewing caterpillars and munching mealworms are part of a normal daily diet. “Insects are packed with nutrition, they’re protein and fibre-rich and seriously eco-friendly, and I’m keen to show Kiwis they can be darn tasty too,” Brown said. 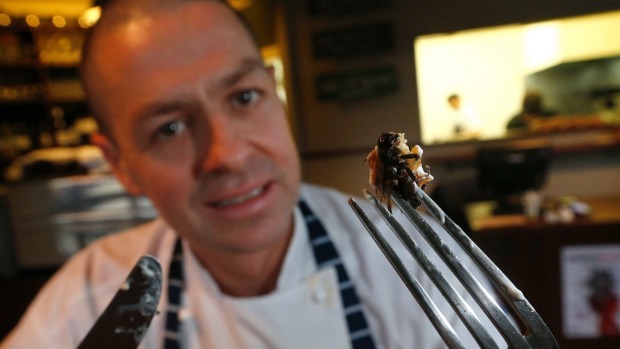 As part of this year’s Wellington on a Plate festival, which runs during August and was launched on Thursday, Brown’s Grubs Up event aims to overcome the Western revulsion about eating bugs with a menu consisting of “entry level” delights such as snails, crickets, mealworms and locusts. “It’s just changing people’s perception – 20 years ago people were revolted by sushi.